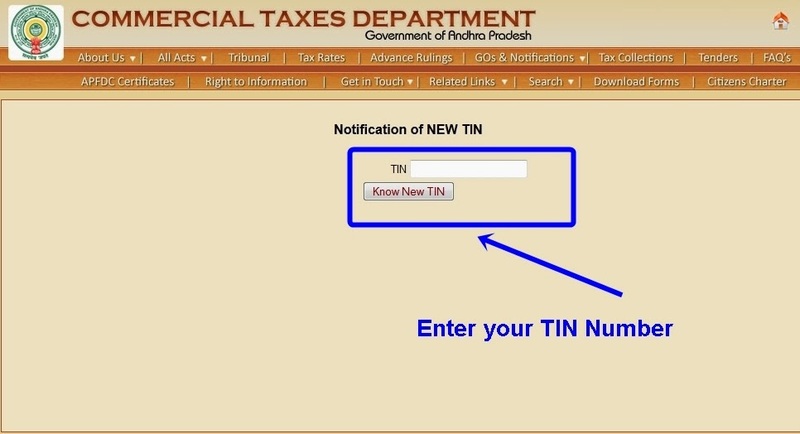 Click on: ALERT TO DEALERS : You can now check your new TIN on the portal. Please click here. 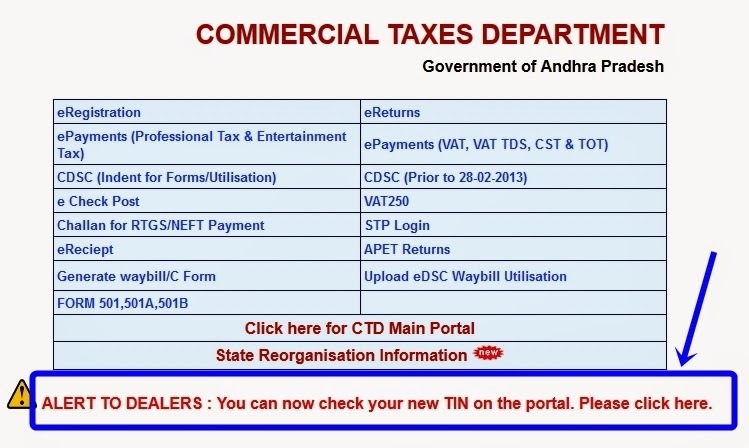 If your have Andhra Pradesh VAT Dealer you can see your New Andhra Pradesh TIN Number. 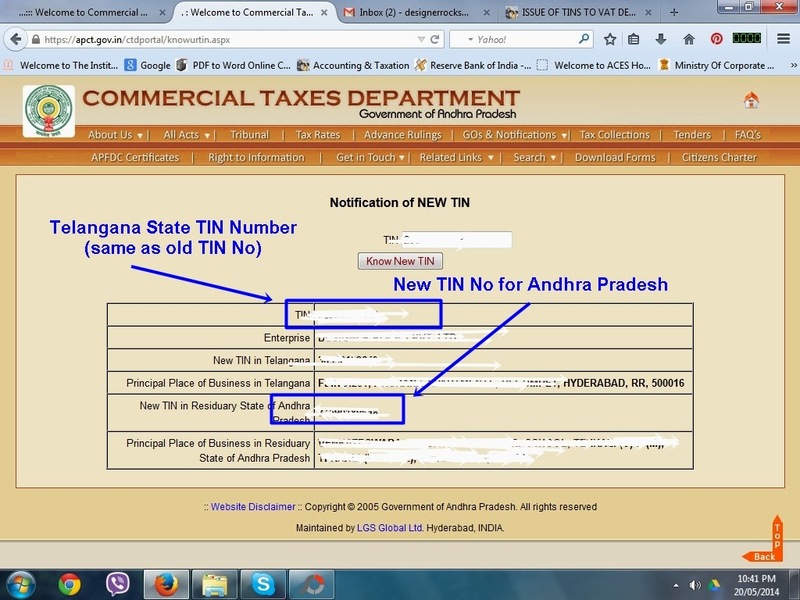 If your have registered both states, you can see Andhra Pradesh VAT TIN No and Telangana TIN Number.